Since 1991 California Family Fitness has had the distinct honor of serving the Sacramento area with world class, family friendly, health and fitness facilities designed to bring out the best in you and your family. 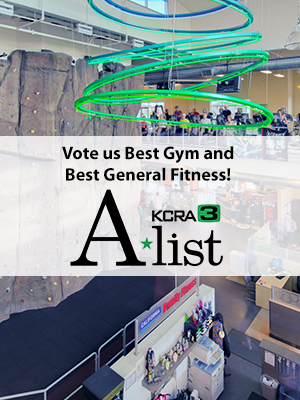 We’re proud to say that our desire to provide our members with an “A” list workout experience has garnered us a nomination to KCRA3’s A-List! Cal Fit is honored to be counted among the best of best, and we encourage all of our members to log in and help us take home this distinguished title.